China is already one of the world’s great scientific superpowers, projected to overtake the US for research output by 2022 and, sometime shortly thereafter, to overtake the US in quality terms as measured by field-weighted citations. Already China produces nearly 20% of the world’s highly cited articles, with a growth rate which dwarfs most of its competitors. The UK has a strong history of research collaboration with China, based on a growing understanding of mutual strengths. In fact, the UK is second only to the US as a partner in collaborative research for Chinese counterparts. 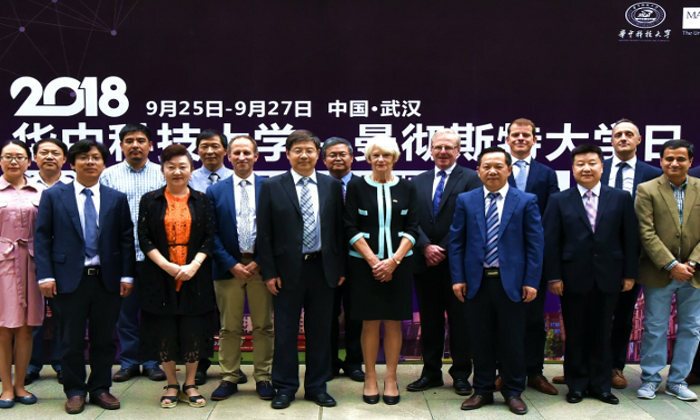 It is increasingly clear that this partnership in research will become more important as China grows in prominence in the worldwide research landscape. What is true with the UK is also true with the University of Manchester and The Faculty of Science and Engineering (FSE). The connections that exist in terms of research, teaching and exchanges between FSE and China are already substantial in both quality and quantity; not to forget significant fraction of our community that hails from China. However, like in many large institutions, they are scattered and academics and staff from one School don’t necessarily know what their counterparts in other Schools are doing or have already achieved. On Wednesday March 6 2019 FSE will organize its first Manchester-China Showcase, a day event designed to highlight our numerous collaborations with China and to give the opportunity to several FSE academics and staff to share their knowledge and experience in developing research links with Chinese counterparts. The University of Manchester is undoubtedly a world-leader in research. To remain so and keep improving, we must remove the barriers that might prevent us from working with the best. This event will help our academics and staff to understand the research landscape in China better, to identify opportunities as well as obstacles and to give them the chance to learn from colleagues’ experience and guidance in order to build new research collaborations with China. All University staff are welcome to join this event. Please register via Eventbrite. Please contact Joachim Huet for more information. A full programme of the day has been included below.